2 feb 08: dig Guillaume Bellanger ! discover & dig guillaume bellanger, saxophone player from the city of tours in france. guillaume plays tenor & soprano, and has recently been playing the double bass as well! the Dig! podcasts let you dig one artist, record label or theme. these podcasts generally contain no commentary, and the music is presented in the order of the playlist. 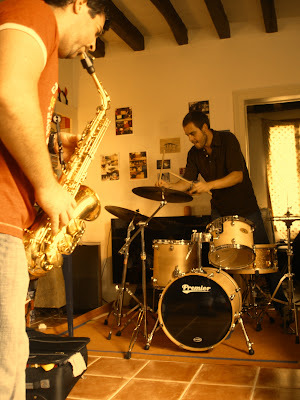 Article originally appeared on Taran's Free Jazz Hour (http://taransfreejazzhour.com/).